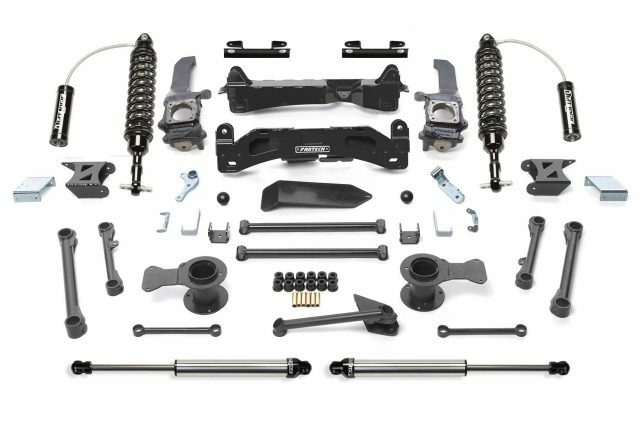 The Performance system includes Fabtech’s Dirt Logic 2.5 Coilovers, replacing the stock front strut assemblies. 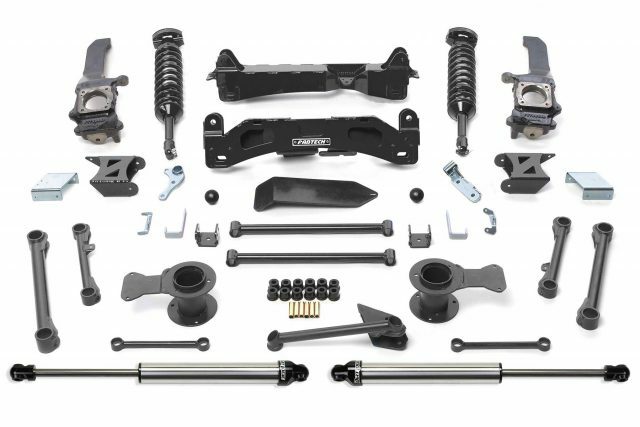 The rear suspension includes tubular upper and lower link arms, utilizing the stock rear coil springs for a supple highway ride with excellent offroad articulation. Installation does not require relocation of the Rack and Pinion or disassembly of the front strut assemblies. 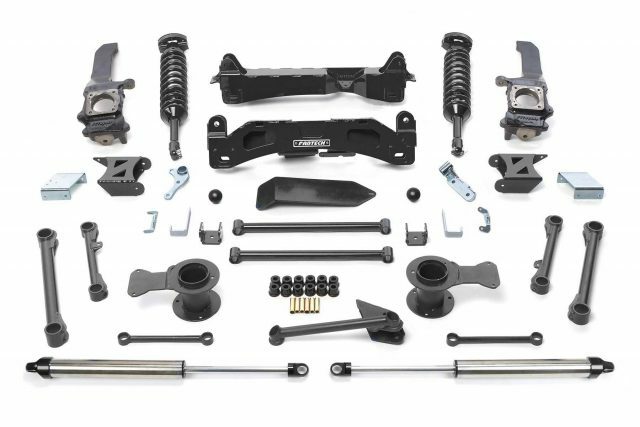 The stock rear driveshaft is retained due to Fabtech’s precise suspension geometry. 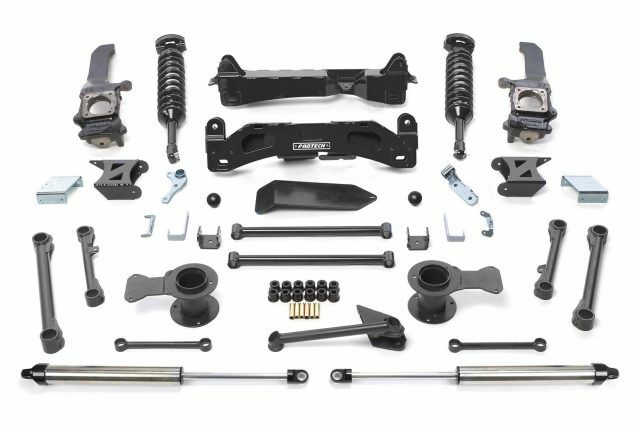 This system also features extended length steering knuckles attaching to one piece lower control arm crossmembers for a full 6 inches of lift to clear 35″ tires.